Have you been on the fence about starting the home-buying process? You may want to take advantage of what may be a limited window of opportunity. ZIllow reported on its blog September 2, 2014, that 30-year, fixed-rate mortgage interest rates declined "12 basis points this week," with the current rate borrowers were quoted on Zillow Mortgages at 3.96 percent. The interest rate is down from 4.08 percent at the same time the previous week. These rates are averages across the United States, and may include points or other fees that increase the overall cost of borrowing, but overall rates are down. Additionally, the 15-year, fixed-rate mortgage loan stood at 3.04 percent while the 5/1 ARM rate was 2.81 percent, according to Zillow. A 5/1 ARM (adjustable-rate mortgage) has an initial rate that applies for the first five years of the loan and then adjusts annually. The Mortgage Bankers Association (MBA) reported on September 3, 2014 that the average interest rate for 30-year fixed-rate mortgages with conforming loan balances ($417,000 or less) decreased to 4.25 percent, the lowest level since June 2013, from 4.28 percent, with points decreasing to 0.24 from 0.25 (including the origination fee) for 80 percent loan-to-value ratio loans (20 percent down payments). In Massachusetts, interest rates for conventional mortgages are around 4 percent to 4.25 percent. FHA loans, which have additional costs associated with them, have interest rates below 4 percent. Some first-time home buyer loan programs may have slightly higher interest rates, but with other appealing financial terms. These interest rates are about 0.50 percent to 0.75 percent lower than a year ago. Conventional wisdom was that interest rates would rise in 2014; however, rates are down from the beginning of the year. Interest rates started the year at more than 4.5 percent, and some mortgage industry analysts predicted interest rates would rise to about 5.5 percent before the end of this year. Few industry experts doubt that now that the Federal Reserve Bank has decided to discontinue purchasing $85 billion worth of debt per month that interest rates will begin to rise. Or maybe they're wrong? The Fed has been tapering the amount of debt purchases since the beginning of the year and plans to make the last purchase in October ($15 billion), according to published reports. Some mortgage professionals have argued that interest rates will remain low because of recent weak borrower demand and other economic factors. "First the recent geopolitical news in the Ukraine, has caused some investors to make more conservative investments, pulling money away from the stock market and investing that money in bonds instead," said Melissa Caci, Woburn, MA branch manager for Residential Mortgage Services. "When people buy more bonds, rates go down because there are more investors willing to buy bonds and more money available in the bond market. It’s purely supply/demand principals. "Second, the recent interest rates cuts with the European Central Bank is making the US bond market more attractive to foreign investors" Caci also noted. "The issues in Europe are making the US Dollar stronger against other currencies, so many European investors are converting their money to US Dollars, investing in our bond markets and not only are they getting more interest on their investments in the US than at home, they are also gaining on the currency exchange as the dollar gets stronger against the Euro." Demand for mortgages did increase slightly this past week, not a surprise considering the attractive rates; however, the demand was for those refinancing a loan, not purchase loans. 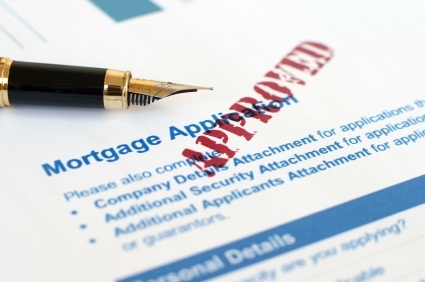 Mortgage applications increased 0.2 percent on a seasonally adjusted basis from one week earlier, the MBA reported September 3, 2014. Refinance loans increased 1 percent from the previous week. Loans for purchasing a home decreased 2 percent from one week earlier and declined 12 percent from the same week one year ago.